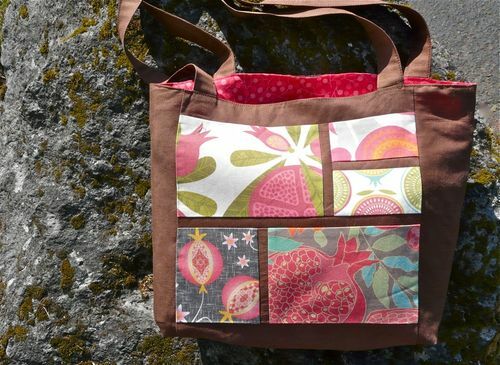 This week guest blogger Diane Gilleland from CraftyPod returns to share a tutorial for turning five favorite Spoonflower designs into a beautiful bag. When I see all the fabrics I've voted for in one place, I always think, "Wow, those would look so great together in a project!" So I decided to design that project – a tote bag that showcases five fabrics, and only requires one test swatch of each one. (In fact, with careful cutting I was able to get two totes out of my five swatches!) You can whip one of these up in just a couple hours. 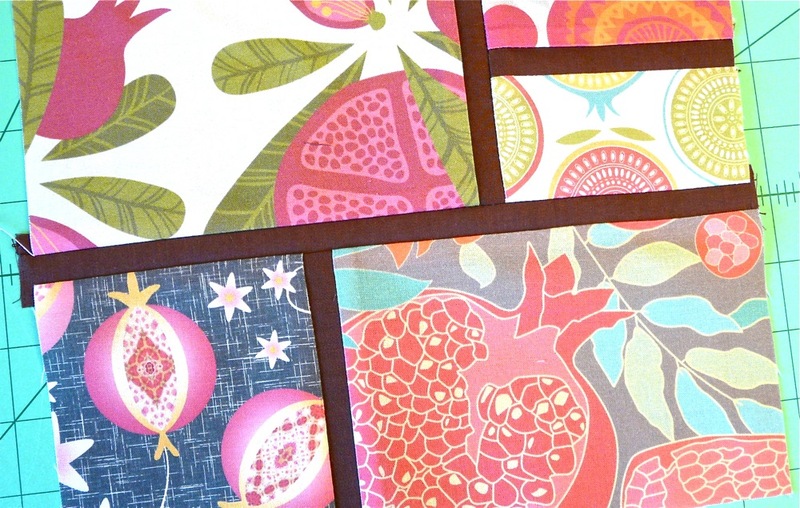 These fabrics are from the recent Pomegranate Fabric Contest. I used Pomegranate Party by Cherished Dreams, A Jewel of a Fruit, by Floral Fascination, Pomegranates by Zeinab, Pom Pom by Spellstone, and Pomegranates by Fattcheese. 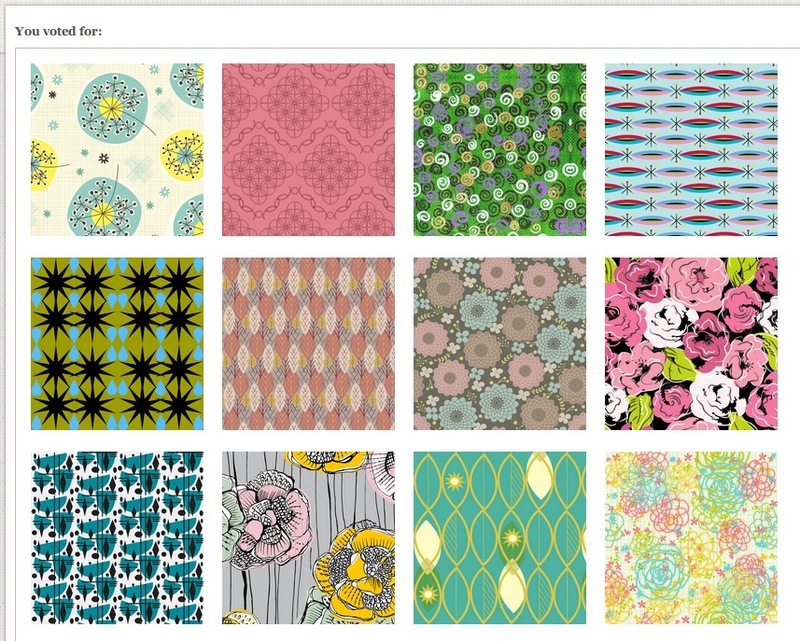 5 Spoonflower Kona® Cotton test swatches in your choice of fabrics. Download and print the PDF patchwork pattern, and decide which of your Spoonflower swatches you'll be using as Fabric A, B, C, D, and E. Then, use a ruler and rotary cutter to cut one piece from each fabric, using the dimensions labeled on the pattern. Cut a long strip from your background fabric, measuring 1" tall by the width of the fabric (selvage to selvage). 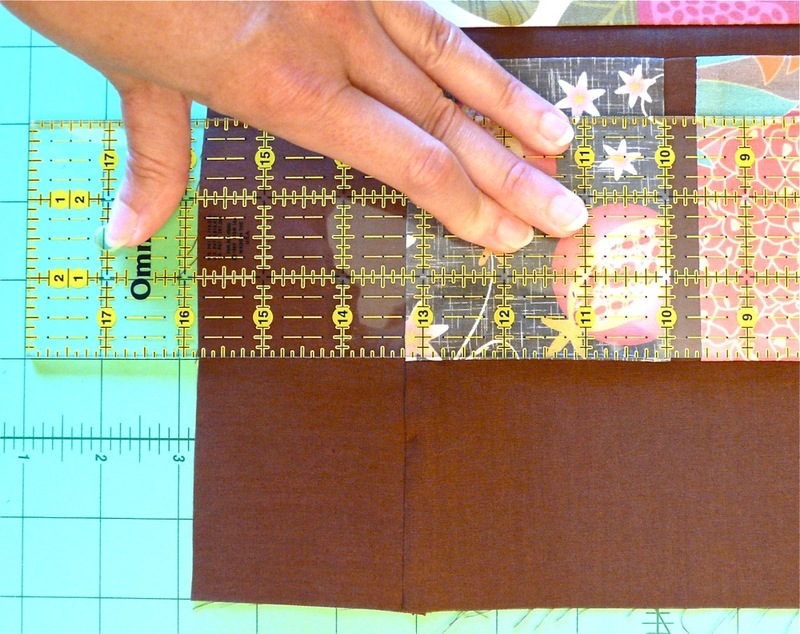 Now, cut this strip into four lengths as labeled in the pattern: 4", 4 ½" 5" and 10 ½". 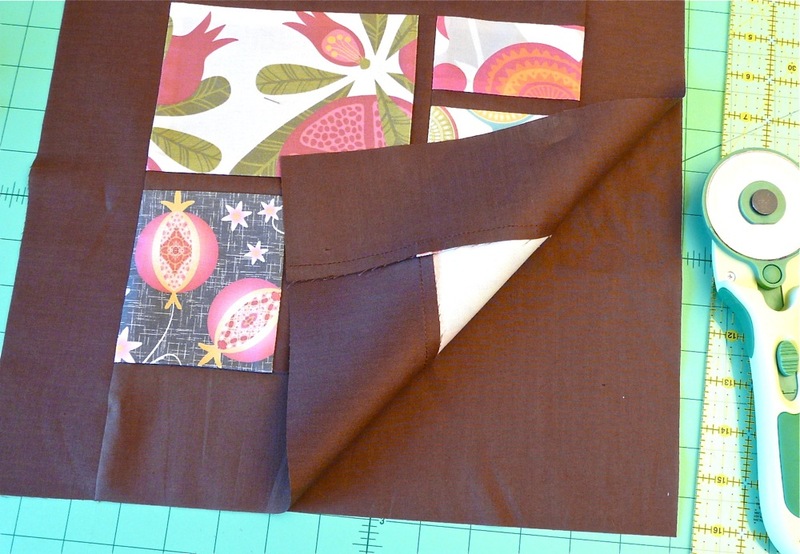 When you sew the patchwork, always place the right sides of the fabric pieces together. All seam allowances in this project are ¼", unless otherwise specified. 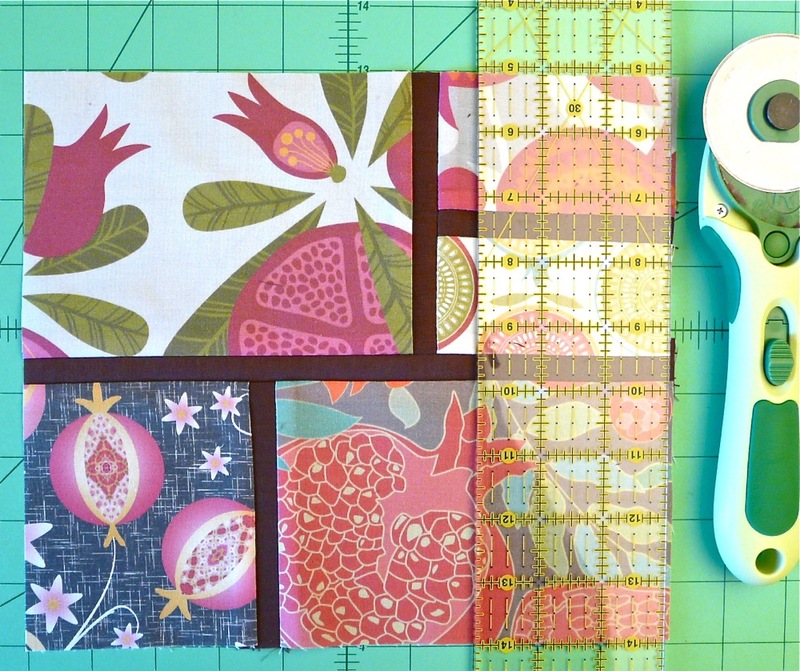 Feel free to pin the fabric pieces together before you sew them, or not – however you're most comfortable sewing! Now, sew the 5" background strip to the right edge of Fabric C. Press the seam allowance toward Fabric C.
Step 2: Sew the two units together as shown here. Then, take a moment and trim any edges that are a little on the wonky side so they're straight. Just line the fabric edges up with the guide lines on the cutting mat, and use your ruler and rotary cutter to make straight cuts. And with that, the top half of our patchwork is done! 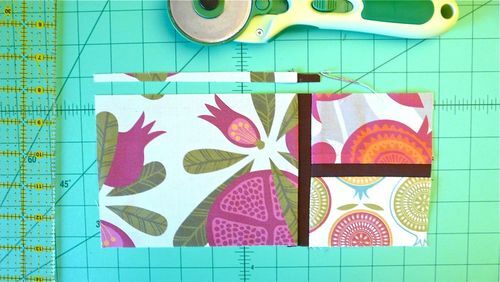 Step 3: Sew the 4 ½" background strip to the right edge of Fabric D. Press the seam allowance toward Fabric D. Then, sew the left edge of Fabric E to the other side of the background strip. Press that seam allowance toward Fabric E. This is the bottom half of our patchwork. If you need to, go ahead and trim its edges so they're straight. We'll connect these two finished units with the 10 ½" strip we cut earlier. Step 4: Now, take the patchwork unit we just completed in Step 3. Sew the top edge of this unit to the 10 ½" background strip. 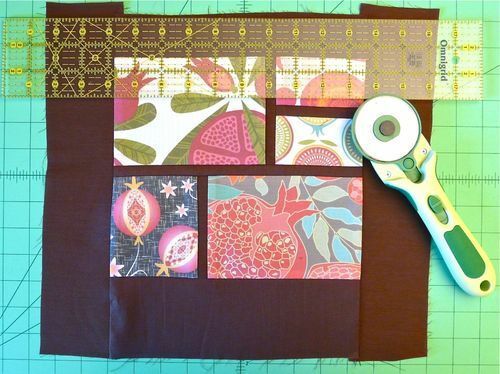 Press the seam allowance toward the print fabrics. 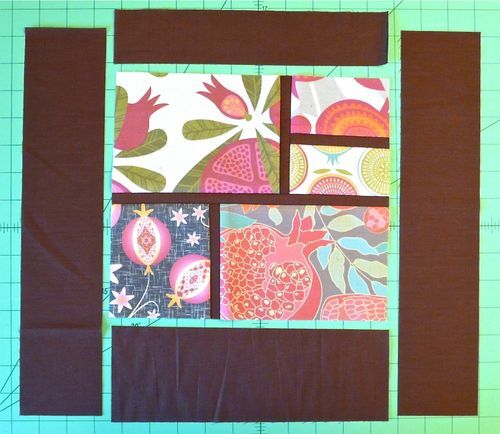 Then, sew the bottom edge of the patchwork unit from Step 2 to the other side of that background strip. 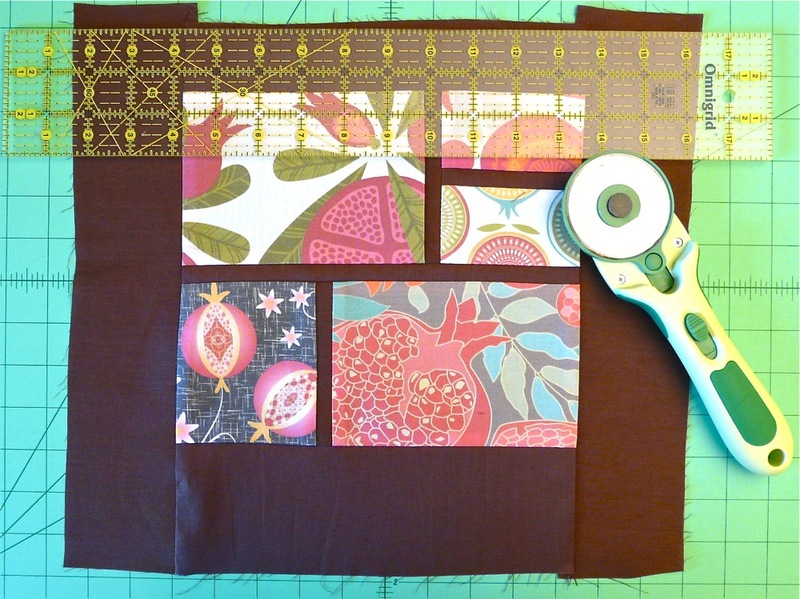 Press the seam allowance toward the print fabrics again. Step 5: Now,we'll just tidy up our finished patchwork. Use your ruler, rotary cutter and the guide lines on your cutting mat to trim all four edges so they're straight and at 90 degree angles. Looks good! Let's add some background to the edges. Step 6: Now, cut another long strip from your background fabric, measuring 3 ½" tall by the width of the fabric (selvage to selvage). Cut one 10" length from this strip. This goes at the bottom edge of your patchwork block. Next, cut two 13" lengths from the long strip. Take these, and trim them so they're 3" tall by 13" long. These are the sides of your patchwork. Finally, cut one 2" by 10" strip. (Depending on the width of your fabric, you may be able to get this out of the remaining long strip, or you may need to cut it from the rest of your background fabric.) This 2" tall strip goes at the top edge of your tote. Step 7: Let's sew these strips to our patchwork block to finish the front of the tote. Sew the 2" by 10" strip to the top edge of the patchwork. 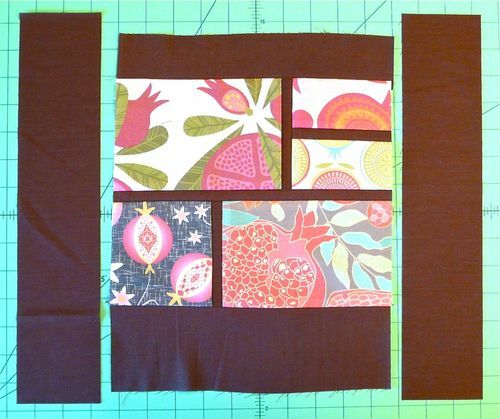 Sew the 3 ½" by 10" strip to the bottom edge of the patchwork. Press the seam allowances toward the patchwork. 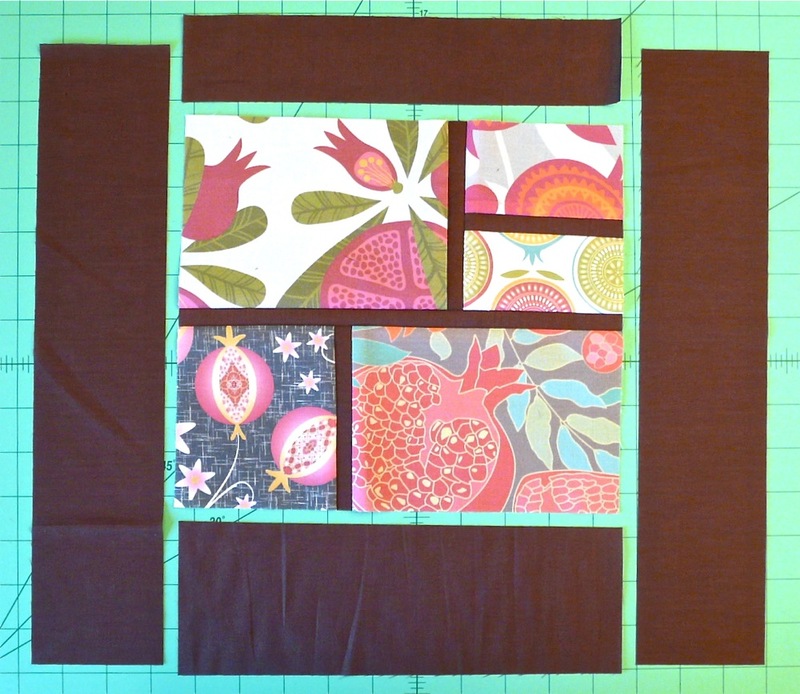 Step 8: Now, sew the 3" by 13" strips to the right and left edges of the patchwork. Press those seam allowances toward the patchwork as well. 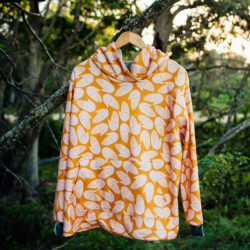 Your finished piece may have some wonky edges again now. 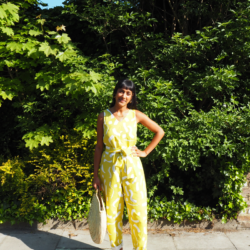 Don't worry about it – just trim them! Your patchwork will measure somewhere in the neighborhood of 14" by 13". If it's a little larger or smaller, don't worry about it! As long as the background strips on the right and left edges are the same width, all is well. Just use whatever the measurement is to cut an identical piece from your background fabric. This will be the back of your tote. 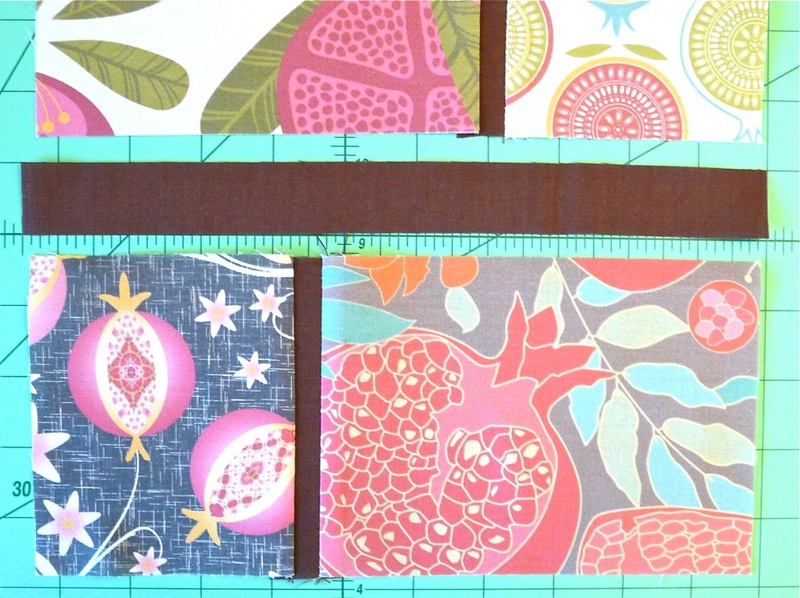 Cut two more long strips from your remaining background fabric, each measuring 4" tall by 26" long. (That's just the length I like. If you prefer your tote straps longer or shorter, by all means, cut them to the length you like!). Fold each strip in half lengthwise with the right side facing out, pressing the fold with a hot iron. 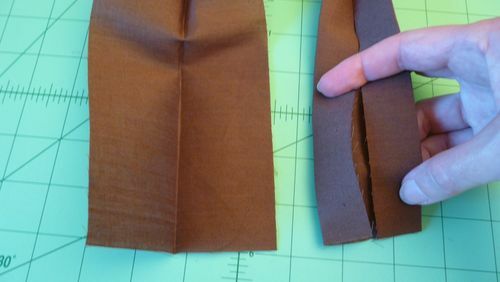 Open this fold back up and then carefully fold the two raw edges in so they meet at this fold line, as shown above. Press these two new folds as well. Then, refold each strap in half again so the raw edges are to the inside, and press the strap flat. 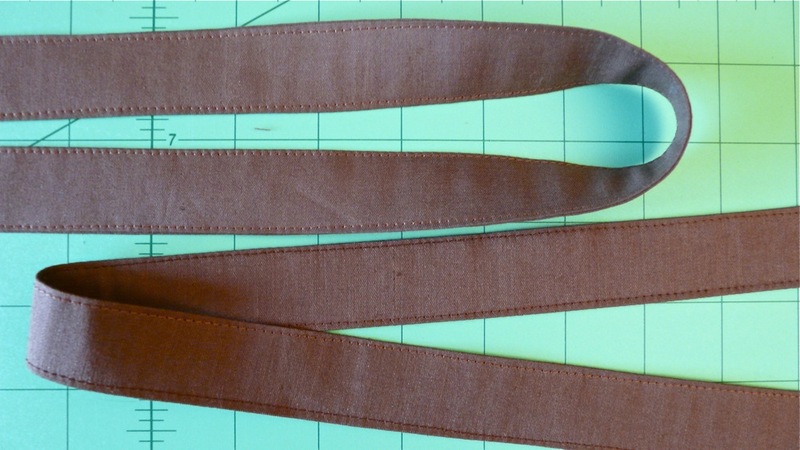 To finish your straps, stitch about ⅛" away from each long edge. This video walks you through the assembly process from this point. We'll add the straps to our tote, make a lining with some pockets in it, and put the whole thing together. I made two pockets for my tote: the larger one used a 12" tall by 8" piece wide of fabric, and the smaller one used a 12" tall by 5 ½" wide piece. 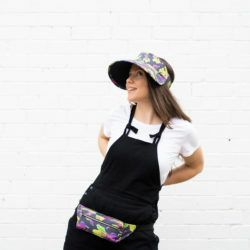 You can actually make your pockets any size you like – or even leave them out! This tote is a little on the diminutive side – just large enough to carry your wallet, phone, sketchbook, a paperback, and a small water bottle on your day's adventures. 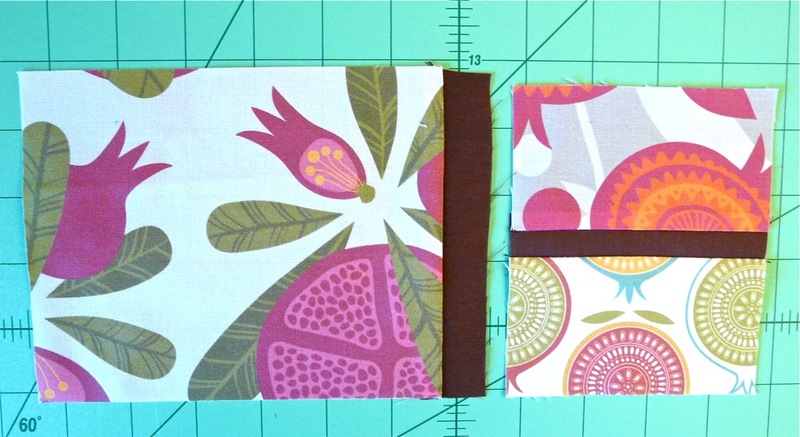 If you'd like it to be bigger, you can always cut the background strips in Step 6 a couple inches wider and longer. 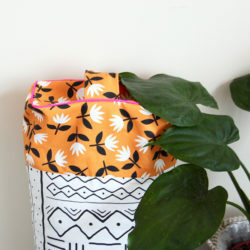 Can you imagine having a little collection of these bags, each one with a different fabric theme? This is an excellent tutorial! Thank you so much for sharing this. 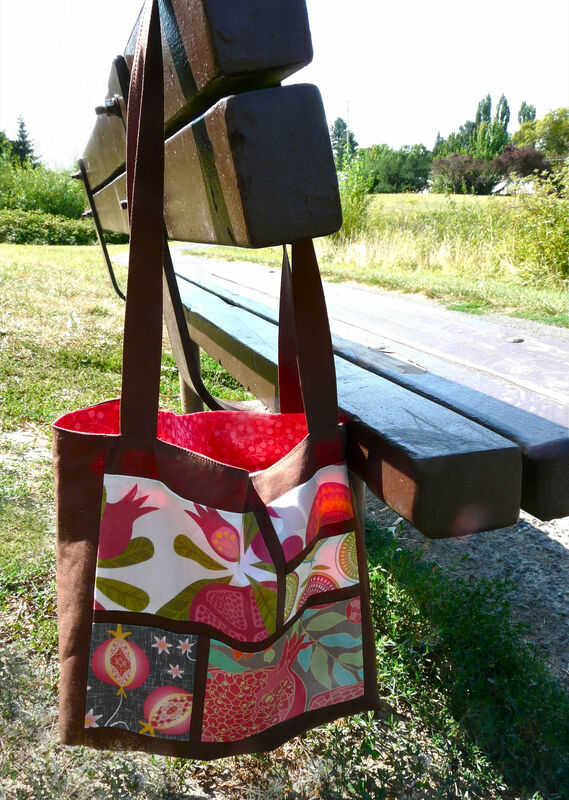 What an adorable tutorial…the bag is cute…and the usage of fabrics just great! Thanks for sharing.